The Kurdish people are the largest ethnic group in the Middle East who do not have their own state. This fact means that the Kurds are not viewed as a security actor in international politics because the international system considers states to be the primary actors. The reason for this differentiation in identification is that states are sovereign while national and cultural groups are not. This view stems from the realist school of thought in international relations, a school of thought that had primarily dominated international relations until the end of the Cold War and the collapse of the Soviet Union. Supporters of realism consider the security of their respective states as paramount and view military threat posed by other states to be the only threat to account for. In this sense, stateless nations such as the Kurds (divided among four different states) have no place of deflation in this realist theory. This orthodox realist view of the international system came under heavy criticism at the end of the Cold War from the Copenhagen school of thought. Proponents of the Copenhagen school of thought were successful in adding another player labelled “community” or “group”to the realist theory. They hypothesise that cultural or sectarian groups are equal actors to states with respect to security. By utilising the Copenhagen school of thought’s hypothesis this article will discuss the security of the Kurdish nation in the Middle East. From the beginning of the Second World War until the end of the Cold War,the theory of realism played a significant role in the issue of security. At the end of the Cold War, critics of realism argued that the end of the Cold War meant the end of realism in international relations as it would no longer fit with the changes in the international order. However, this view was strongly opposed by Kenneth Waltz, the father of realism. In defence of realism, Waltz asked what changes have occurred since the end of the Cold War that mean realism can no longer explain the international order? He argued that,first; there are no changes on the international level, as international politics remained in a state of anarchy i.e. “the non-existence of a global government that can enforce international laws”. Therefore, Waltz asserts that states remained unprotected and open to the consequences of military action from other states. Second, waltz believed that states continue to place significance on their capabilities in respect to other state actors in the international system, “making cooperation more difficult between state actors, in particular in the field of security” (1). To realists, states continue to be the primary security actors on the basis that they are sovereign and the primary threat to states in the international system is the threat of a military attack (2). Realists believe that any attempt to widen the definition of the term “security” to include other threats such as global warming and epidemic diseases will confuse the meaning of the term itself. It will become an obstacle to find the suitable solutions for those global problems (3). In the light of the arguments highlighted above, realism pays no attention to the Kurdish nation with respect to international security. Instead, realism takes the security of the four states hosting the Kurdish population into account. This means that the Kurds are only categorised as a part of populations in Turkey, Iraq, Iran and Syria because only the states are sovereign. At the same time, realism believes the primary threat to these four states is the threat posed by foreign military forces. Hence, the state-centric realist theory in international relations does not take into consideration that greater Kurdistan and its land have been divided and attached to for other states and that Kurdistan’s security is different to that of those four states. 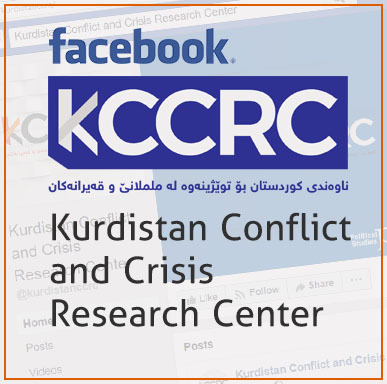 After the division of Kurdistan and their annexation to four host states, the Kurdish nation has continuously faced political, military and cultural persecution and oppression. The reason is that these states (Turkey, Iraq, Iran, Syria) have implemented policies of eliminating the Kurdish identity rather than promoting multiculturalism and integration of the Kurdish identity into their broader state identity. In his book “People, States & Fear: An Agenda for International Security Studies in the Post-Cold War Era”, Barry Buzan divides the term security into five elements. These elements are military security, environmental security, economic security, political security and national security (4). However, Buzan’s division is an orthodox one as it once again puts the state in the centre, as he believed that statesare the only security actors. Ole Waver explains that when security is only for states,then security for ethnic and sectarian groups might become absent (5).National and sectarian groups, as with states, are security actors in international relations. On the one hand, State security is derived from the state’s sovereignty and the will to protect this sovereignty because if the state loses sovereignty, it would no longer exist. On the other hand, national and sectarian groups possess identity and if they lose that identity, then they would no longer exist (6). The security of national and sectarian groups is more fluid than that of states. This is the case because defined borders confine a state whereas national and sectarian identities might be national or transnational (7). Based on the theoretical framework of the Copenhagen School of thought, it is possible to argue that the Kurdish nation can be considered a unique security actor within each of their host states. While it is true that each of the states (Turkey, Iran, Iraq and Syria) that host the Kurdish population are security actors in that they are sovereign and have national armies to protect that sovereignty if their respective territories should come under attack, the Kurdish nation has a unique identity. The Kurdish identity and therefore their nation is not confined to one of the specific states; instead, it traverses and spans across their four host states. What is more, the security of the Kurdish nation is not in line with the security of their respective host states. For example, if there is a security threat to the Turkish state it is not given at the same threat must face the Kurds of Turkey. Quite the contrary, if the threat to Turkey is one that weakens the Turkish state, then this threat poses an opportunity of the Kurdish nation. For example, the United States military invasion of Iraq In 2003, while it was a security threat to the Iraqi State, the invasion worked to free the Kurds from the tyranny of the Iraqi state; a nuance that the orthodox realist school of thought ignores. Instead, it would have read the United States invasion as a military threat for all of Iraq and an attempt to dispossess the country of its sovereignty. The case study of the United States invasion of Iraq allowed the Copenhagen School of thought to challenge the orthodox realist theory because it was clear that there was a distinction between the different groups within Iraq as to whether or not the invasion was a threat or an act of national liberation against the regime of Saddam Hussain. Moreover, the case study of the 2003 Iraq War became a pillar of support for the Copenhagen School of thought’s view that there is a distinction between the security of the state and the security of society in that the strengthening of the state equates to the weakening of cultural and sectarian groups and vice-versa. Put another way, the weaker the state, the more secure cultural and sectarian groups feel. Another example is the weakening of the Syrian regime after 2011. As the Syrian regime weekend and retreated from its sovereign territory terms of Syria were able, for the first time in Syrian history the Syrian Kurds were able to make their mark on the country and defend their national identity. When will the Kurds feel secure and stable? Each of the states that the Kurdish nation inhabits has tried to create a state based on a single ethnic identity, through the implementation of the first strategy of assimilation. For example, the Turkish state has used the approach of assimilation for the creation of a Turkish state based on the identity of the Turkish nation. The same is true for Iran, Syria and Iraq before 2003. 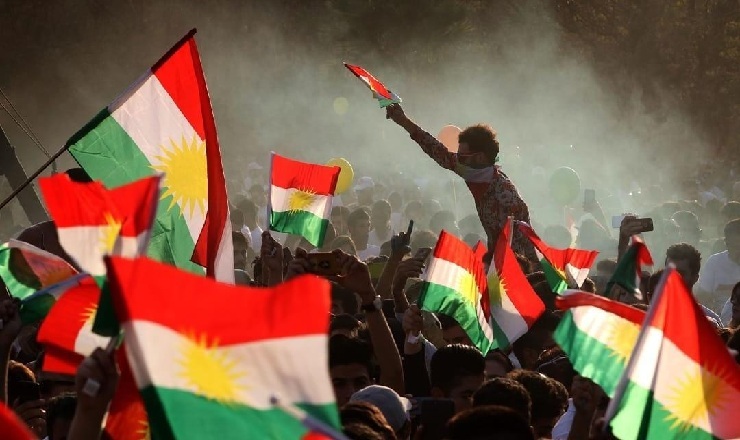 Therefore, the reason that the Kurds have never felt secure, stable and at peace within the state that they inhabit has been because each of these state has attempted to assimilate the Kurdish population into their respective nation-state identities. For example, Turkey views the Kurdish nation as an existential threat against the Turkish national identity and therefore the Turkish state. It is for this reason that they have consistently tried to eradicate the Kurdish identity through its assimilation into the Turkish identity. To preserve the Kurdish identity within the four Kurdish states that they inhabit the Copenhagen school of thought recommends that these states do not view the Kurdish identity as a threat. Put another way, the Copenhagen school of thought argues that each of the states that host native Kurdish populations should work to implement the second strategy of acculturation, integration and administration rather than the strategy of assimilation. In the view of Paul Roe, the implementation of this strategy can only be achieved through adopting a federal state system which is governed by the principles of democracy and through effective democratic institutions. 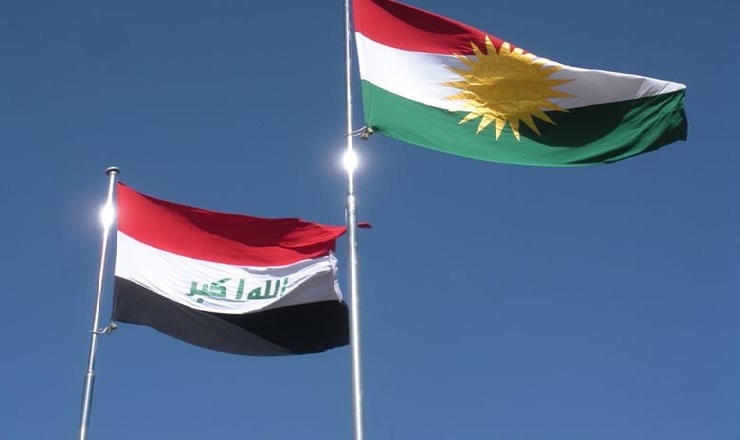 Therefore, to protect Kurdish security with the Turkish, Syrian and Iranian states each of these states must change their state models to Federal ones, just as the Iraqi state has done. In the case of Iraq, after the 2003 Iraq war and the subsequent regime change in the country, the country adopted a federal system of government. Ever since then, the security situation for the Kurds of Iraq has improved markedly. (11) A federal model would assist the Kurds to protect their cultural and linguist distinctness within each of their respective host states. The security of the Kurdish nation in the Middle East has for the last century been under threat by each of the four states that host them. Turkey, Iraq, Iran and Syria have attempted to strengthen the security of Arabs, Persians and Turks at the expense of that of the Kurds. Each of these nation-states has tried to govern diversity in their respective states through a strategy of assimilating the Kurds to foster a single nation-state. In the state-centric realist theory of international relations, the Kurds are not viewed as a distinct security actor as the Kurds do not have a sovereign state of their own. Instead, realism only takes into consideration the four states that host Kurdish populations as international security actors. Opposing this old realist theory is the Copenhagen school of thought, which hypothesises that in addition to sovereign states there are also national, cultural, and sectarian groups which can be considered as security actors in international relations as these groupings have distinct identities that require protection. The Copenhagen school of thought argues that if these groups were to lose these identities than they would cease to exist. Based on this hypothesis, because the Kurds have a distinct identity of their own in the Middle East, then they can be viewed as a separate security actor, whose security and security demands are separate from that of their host states. In the same way as the host states of the Kurds attempt to preserve their respective sovereignties, the Kurds themselves attempt to protect their national identity. The Copenhagen school of thought argues that only in the context of a democratic federal state model can the Kurds of each of those states feel at peace and secure. In contrast, any centralist model within these nation-states is a direct threat to the security of the Kurdish nation. 1)Waltz, K., (1993) ‘The Emerging Structure of International Politics, International Security, 18, (2), pp, 44-79. 2)Mearsheimer, J., (2002) ‘Realism, the Real World, and the Academy, in Brecher, M., & Harvey, F., (Eds.) Realism and Institutionalism in International Studies, Ann Arbor: The University of Michigan Press. 3)Walt, S., (1991) ‘The Renaissance of Security Studies, International Studies Quarterly, 35, (2), pp. 211-239. 6)Buzan, B., (1991) People, States and Fear: An Agenda for International Security Studies in the Post-Cold War Era, Essex: Longman. 7) Buzan, B., Waever, O., & Wilde, J. (1998) Security: A New Framework for Analysis, London: Pinter. 8)Wæver, O., (2000) ‘The EU as a Security Actor: Reflections From a Pessimistic Constructivist on Post-Sovereign Security Orders, in Kelstrup, M. & Williams M., (Eds.). International Relations Theory and the Politics of European Integration: Power, Security and Community, London and New York: Routledge, pp, 250-294. 9)Wæver, O., Buzan, B., Kelstrup, M., & Lemaitre, P. (1993) Identity, Migration and the New Security Agenda in Europe, London: Pinter Publishers Ltd.
10Collins, A., 2002. Burma's civil war: A case of societal security. Civil Wars, 5(4), pp.119-134.